Ho Ho Ho. Christmas is drawing ever-nearer. With the inevitable stress of deciding which socks to buy for your most-hated loved ones, what better way to escape in to the festive spirit than by visiting Stoke’s new Winter Wonderland?! We’ve been along to take a look for ourselves. 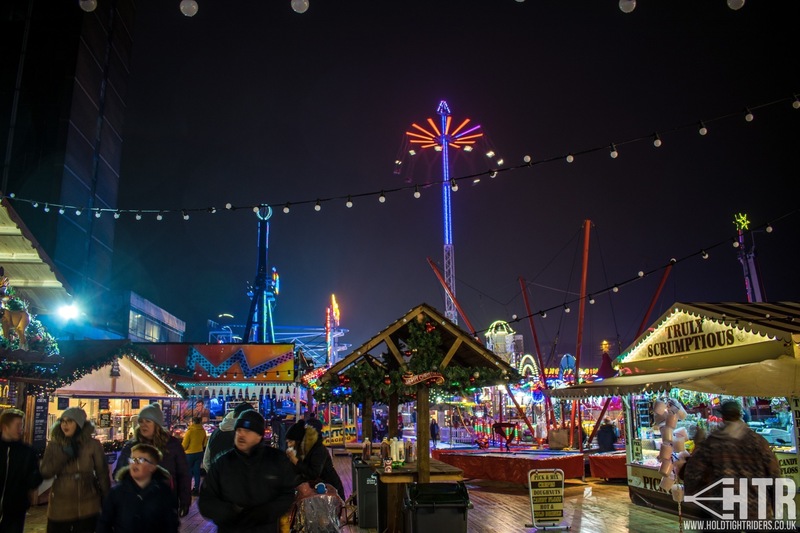 Billed as “The Midlands’ spectacular Christmas destination“, Winter Wonderland Stoke is the first event of its kind to appear at the Birch Terrace car park in Hanley. 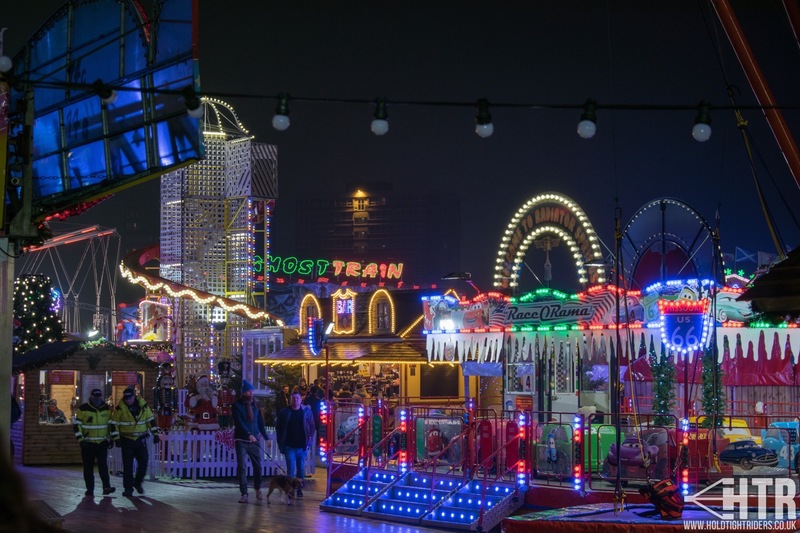 It promises entertainment for the whole family, with activities including ice skating, spectacular rides, Bavarian food and live music. On entering the site you’re instantly transported from the bleak familiarities of Stoke into a festive wonderland fit for the big-man himself. The smell of Bavarian sausage wafts up your nostrils, the jingle of Christmas tunes fills the air, and underfoot you are treated to a wooden-decked walkway to help you forget that you’re standing in a carpark in the middle of Winter. It really is quite impressive. Undeterred by the rain, we were pleased to see a good turnout at the Wonderland, with the ice skating rink proving very popular – even on a week night. Thrill-seekers are certainly in for a treat. Joining the 60 metre tall Sky Swing are the Airmaxx, No Limit and Super Bowl. For the families there’s the Crazy Mouse rollercoaster, the Sizzler and the Dodgems, amongst others. Winter Wonderland Stoke is open from 17th November 2016 until 2nd January 2017. Entry is free, with ride tokens sold on-site. It is recommended that you book Ice Skating in advance to guarantee a slot. Tags: Christmas, Family Rides, Flat Ride, Gallery, Multi ride, Off Ride, On Ride, Photos, Review, Thrill Rides, Trip Report, Videos.